Former PM dismisses report Shin Bet warned him of Iranian plots on his life. 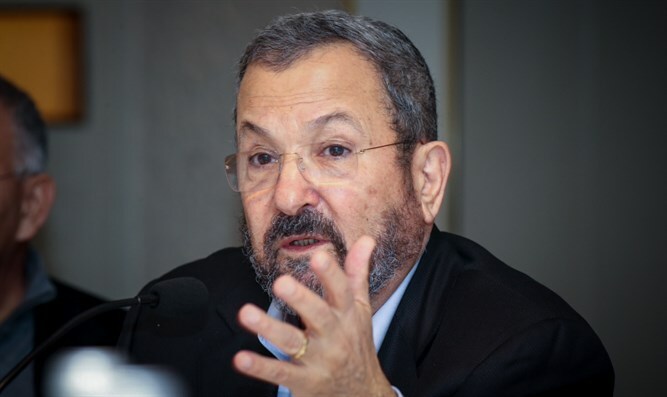 Former Prime Minister Ehud Barak reacted dismissively to reports of Iranian threats against him. "I can not talk about this issue, I do not think it's so important. Just as I've managed for the last 76 years, so too will I manage for the next 45 years," Barak told Channel 13. The former prime minister responded to reports that he had met with Shin Bet director Nadav Argaman because of fears of Iranian attempts to harm him while he was abroad. Barak, 76, has over the past few months Barak not had personal security detail, and sometimes he only carries his personal gun. The Ministerial Committee for Shin Bet Affairs is scheduled to convene soon in order to change the period in which former prime ministers receive security during their departure abroad and recommend that he period be extended to 20 years. During the interview, Barak rejected the possibility that he may return to politics. "I do not intend to return to politics, but I am a worried citizen." He said that he would support ex-IDF Chief of Staff Benny Gantz for prime minister. I would be very happy and I wish for all of us that people like Benny who spent decades in the civil service without thinking about themselves will enter the political arena and try to influence matters."